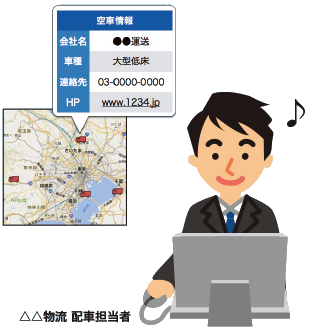 DoCoMAP is a system that merges NTT Docomo's "Kantan Location Services" (GPS Tracking Device) with a location management system created by docomap JAPAN. 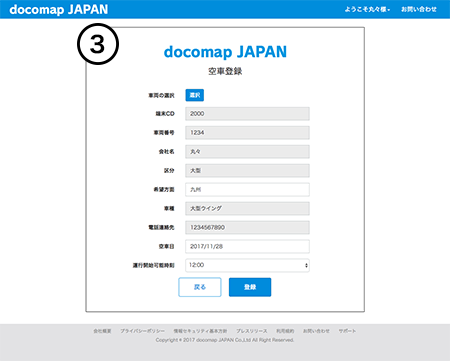 ※ docomap is a registered trademark of docomap JAPAN. 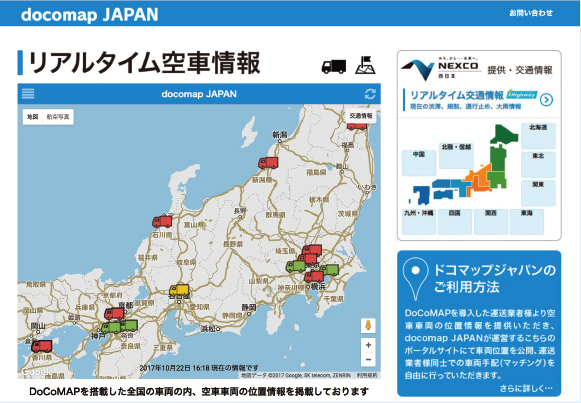 Through docomap JAPAN's Portal Site, companies that have installed our DoCoMAP devices and uses our services can easily display the information of their Truck Vacancies on a map. 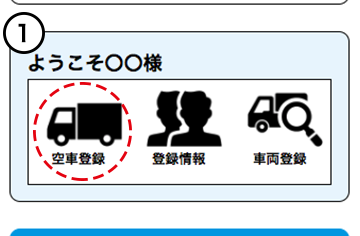 ※ A free docomap JAPAN account is required to see the details of those Truck Vacancies. 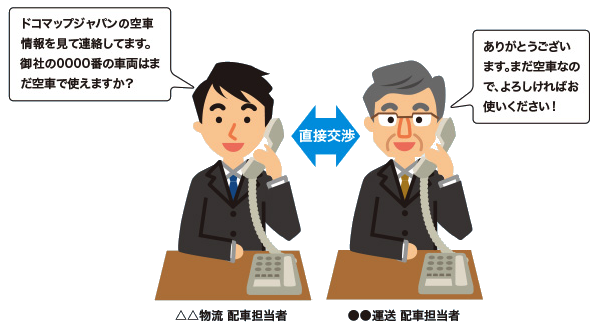 If you want to use a Vacant Truck, you just need to open the Information Popup of the Company, then you can get their contact details and directly negotiate, without needing to go through us. We do this to help improve the efficiency of physical distribution industry to reduce the amount of overall Truck Vacancies. DoCoMAP users can easily, through our website, add and delete Truck Vacancies. DoCoMAP users will automatically have an account created for them, so all you need to do is login and start using our services! If you register your truck information beforehand, all you have to do to add a Vacancy is select it and add a few details! ※ Images and screenshots are from pre-alpha versions of the website. 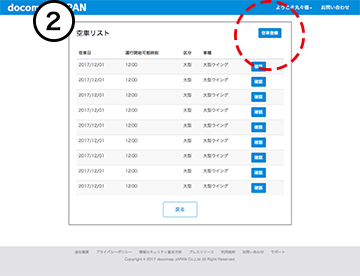 Copyright © 2019 docomap JAPAN Co., Ltd. All Rights Reserved.